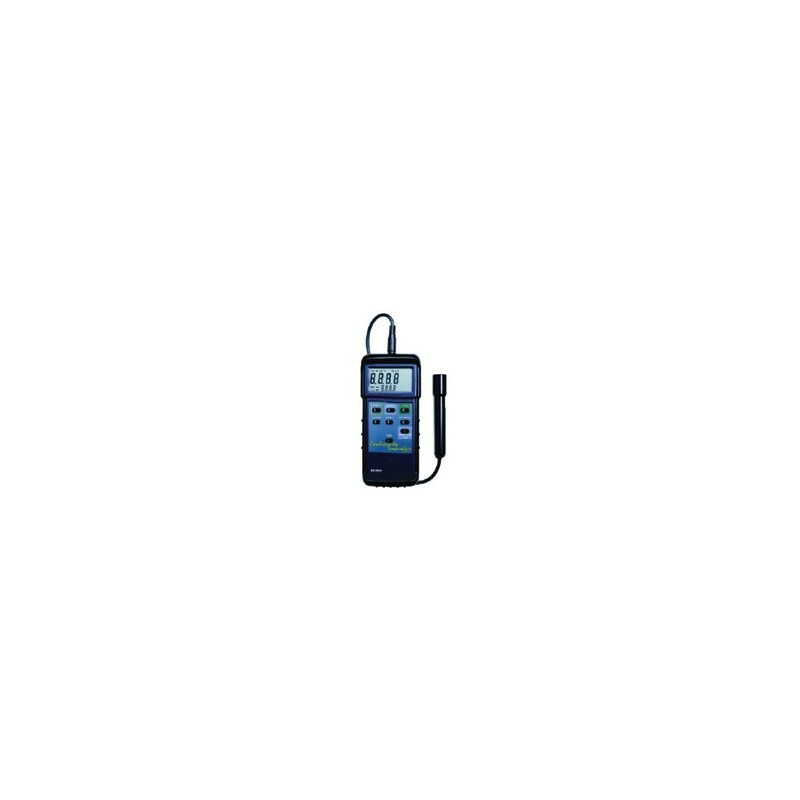 The heavy duty CONDUCTIVITY AND TEMPERATURE METER has 3 measuring ranges with resolution from 0.1S and accuracy to +/-2%, plus a dual display of conductivity and temperature measurements on its super large 1.4" (36 mm) LCD display. Conductivity ranges include 200S, 2mS and 20mS. This unit measures temperature from 32F to 140F and 0C to 60C. 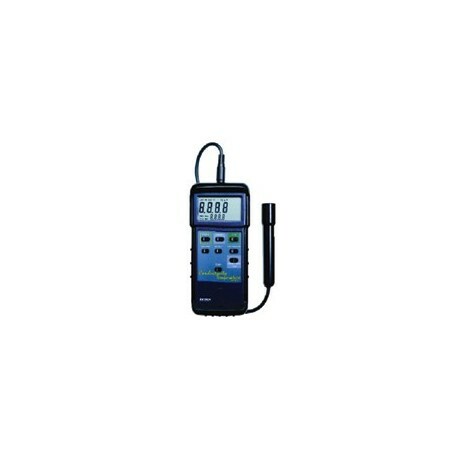 It features Manual or Automatic Temperature Compensation from 0C to 50C adjustable from 0 to 5% per C, fast 0.8 second sampling time, and includes an RS-232 PC serial interface. Kit contains 1K carbon cell on 39" (1 m) cable and protective holster.